Father’s Day is around the corner, so here on some tips on how to integrate cannabis into your celebration of the father or paternal figure in your life. For Father’s Day this year, you can skip out on buying yet another tie or taking dad out for a steak dinner with your siblings for the 12th year in a row. Instead, celebrate his special day — cannabis style! In fact, new research from Canada is suggesting that middle-aged men are the most likely to partake in the legal cannabis market, so here are five ideas that will get your father out of the house to try out new things and maybe even enjoy some vacation time. Going to a dispensary for the first time can be an intimidating task if you’re not familiar with the ins-and-outs of how it works or don’t feel comfortable asking all the questions that may be floating around your head. Take some of the discomfort out of the experience by introducing your dad to your favorite dispensary and showing him the ropes. Demystify the menu options, explain what some of the products are and help him pick out something new and useful without the pressure of being a newbie. Especially now that plenty of states have legal cannabis markets, there are a lot of different kinds of goodies and devices to choose from, depending on how your dad likes to incorporate cannabis into his life. Chances are, there’s plenty on the market today that’s far different from what your father experienced decades ago! If your father prefers smoking, you can go for something simple yet practical such as fancy rolling papers or hemp blunt wraps paired with a super-efficient grinder. You also could step it up a little bit with a new vape or go all out for the big guy with a well-designed piece glass. Edibles lovers will appreciate a new treat they’ve never tried before or infused butters and oils that can be used to make their own dishes and fans of topicals always need a new cream, salve or massage oil to take the edge off of body pain. If your dad is into smoking, vaping or dabbing, he is probably familiar with some of the tried-and-true strains and most likely has a few go-to strains that he always picks out to enjoy. However, you can try surprising him with a new strain that is in alignment with some of his current preferences or completely flip the script and get him to experiment with something outside of his normal box. Ease your sativa-loving dad into the world of indicas with a balanced hybrid that shows the best of both worlds or introduce him to CBD with a therapeutic strain he’s never tried before. 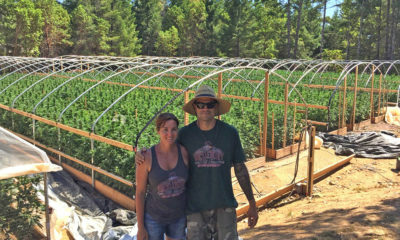 In states where cannabis is legal, there are often companies that offer tours around town to check out some of the dispensaries, cultivation areas and other cannabis-related sites. If your dad is the outgoing type, he will probably enjoy spending time learning more about cannabis in a social setting where he can talk with other people on the tour and get a firsthand look at what goes on behind the scenes of the cannabis industry. There are lots of different types to choose from that offer a range of fun and educational experiences. Do some research on different tours and select one that fits your dad’s interests. Whether you want to go all out with a nice, low-dose dinner or just make a quick batch of your dad’s favorite cookies, taking the time to out for a homemade gift always makes people feel special. You can chef up an impressive baked brunch, make a fancy tomahawk rib-eye dinner with some sweet skunk summer veggies on the side, keep it casual with a THC-infused pizza for lunch or put a spin on the classic 420 dessert with these special brownie recipes. TELL US, are you planning on incorporating cannabis into your Father’s Day?